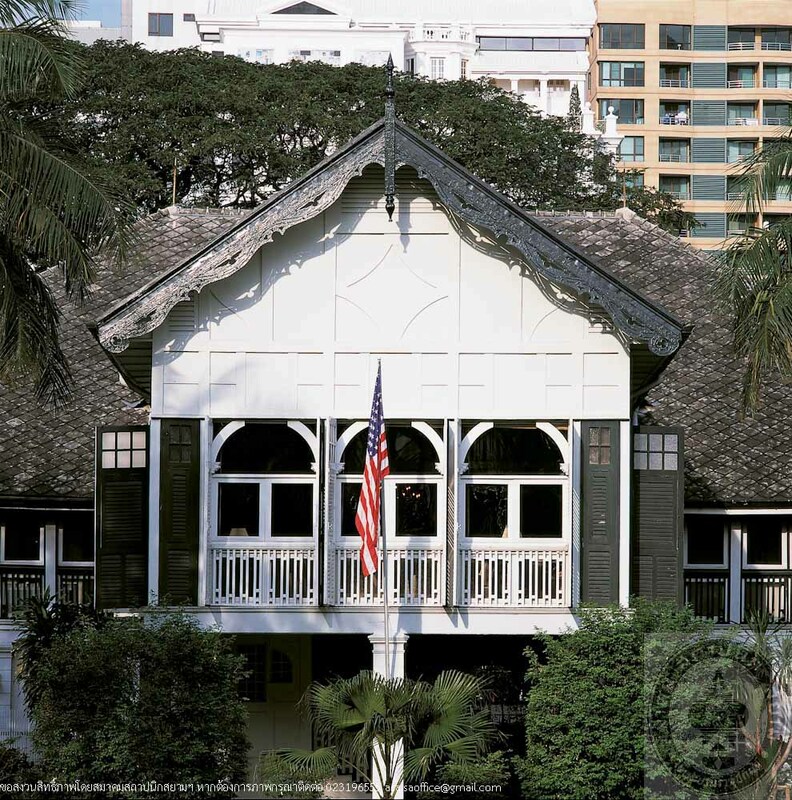 The American Embassy Residence is a Colonial style building with wooden structure and elevated floor. 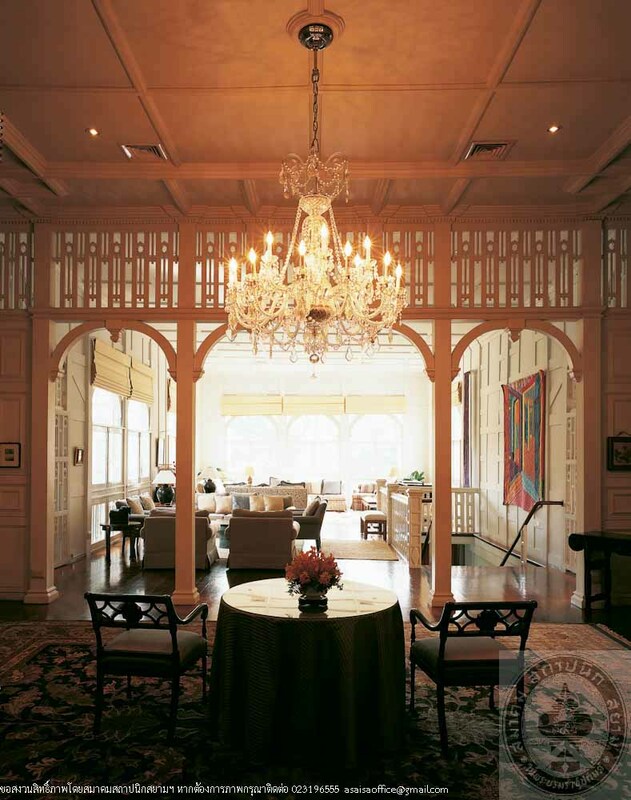 The front reception room is a large hall surrounded by windows and open to the front lawn. 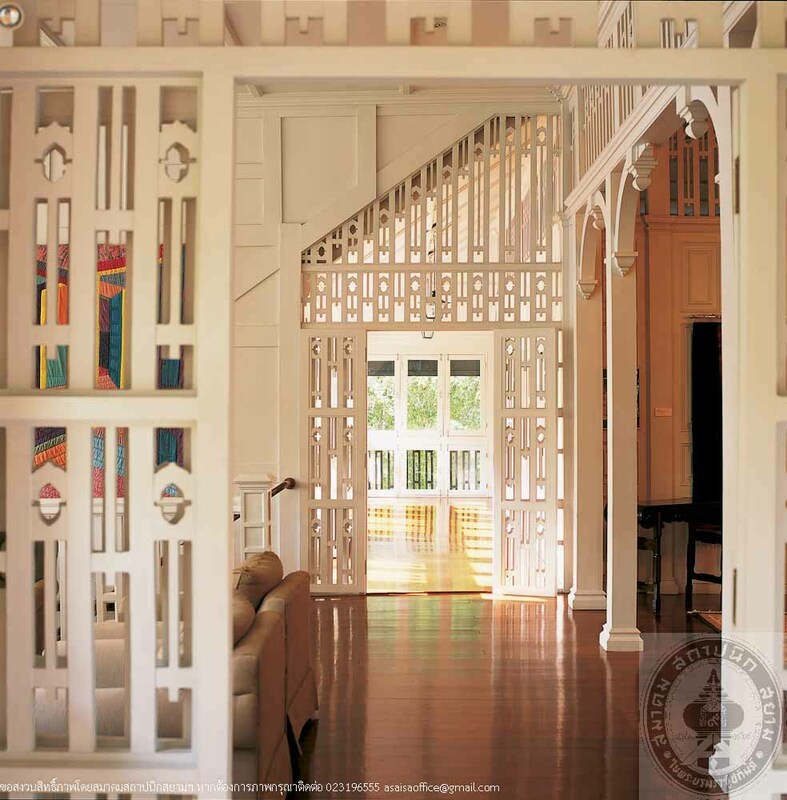 The rooms are with high ceilings, decorated with fretwork at light windows. 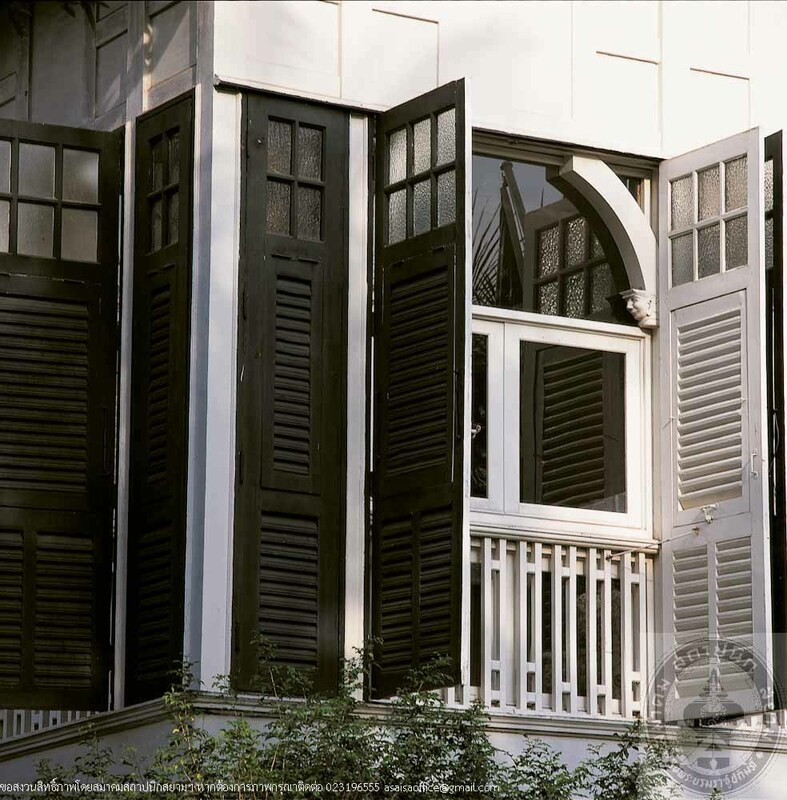 The house was originally a residence of Mr. Horatio Victor Baily, and English engineer who came to work in Thailand during King Rama V’s reign. He was later one of the founders of the Siam Motors Work Co., Ltd. 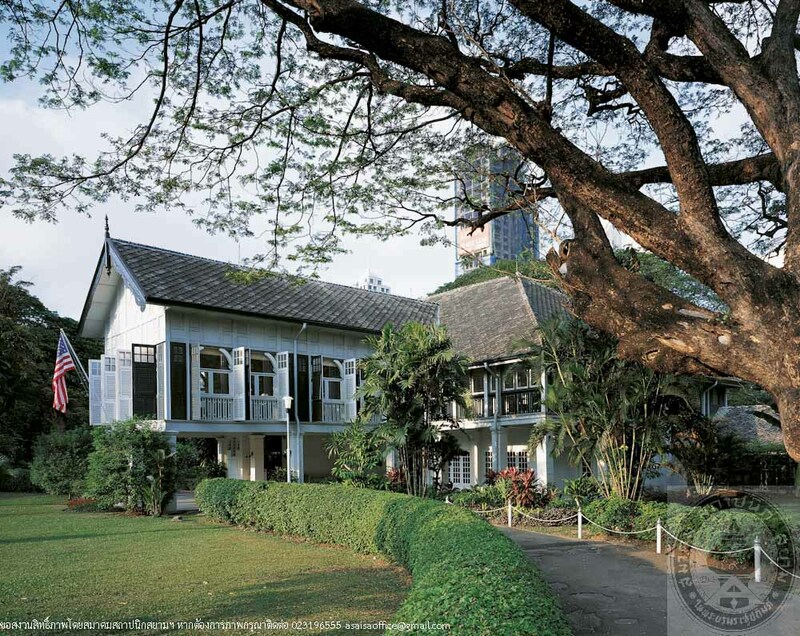 According to some evidence, he attained the title of Phra Patibat Ratchaprasong in the reign of King Rama VI. Mr. Baily passed away in 1920. Afterwards, the house became an office of the Belgian Embassy during 1922-1927 before it was bought by the Ministry of Finance and was later transferred to the Ministry of Foreign Affairs to be used as residence for Mr. Raymond B. Stevens, an American who was the Ministry Consultant. During the Second World War, it was occupied by Japanese troop and was left to a ruinous state. 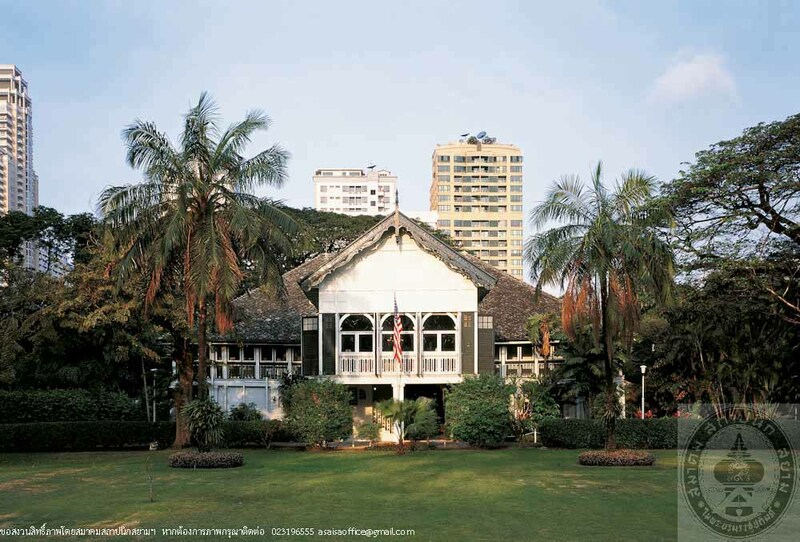 In 1946, Mr. Edwin F. Stanton, the American Ambassador and his wife, who were the first residents after the War, had carried out the restoration of the house and landscape until it was revived to the charming appearance as seen today.